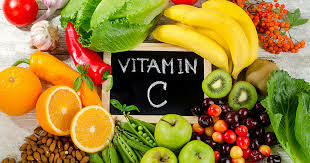 Home English Health Information How much Vitamin C do our body need ? How much Vitamin C do our body need ? Vitamin C, also known as ascorbic acid, is one of the most important nutrients for your body. As a health-promoting and cancer-fighting antioxidant, it plays the role of protector, preventing damage to your cells from free radicals (things like chemicals, oxygen and fats). Vitamin C also protects your skin and gums from every day wear-and-tear and helps to stave off cardiovascular disease. In addition, it is invaluable for preventing joint diseases, cataracts, osteoporosis and the development of scar tissue. Because vitamin C is water-soluble, it washes out of your body when you urinate. 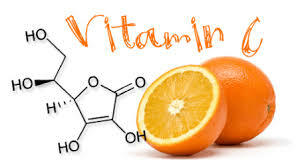 Therefore, it is important to get several doses of vitamin C a day. People who get little or no vitamin C (below about 10 mg per day) for many weeks can get scurvy. Scurvy causes fatigue, inflammation of the gums, small red or purple spots on the skin, joint pain, poor wound healing, and corkscrew hairs. 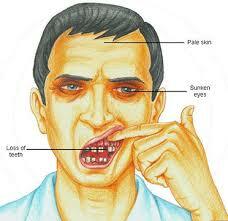 Additional signs of scurvy include depression as well as swollen, bleeding gums and loosening or loss of teeth. People with scurvy can also develop anemia. Scurvy is fatal if it is not treated.